Here’s another worksheet similar to the one I posted a few days ago. 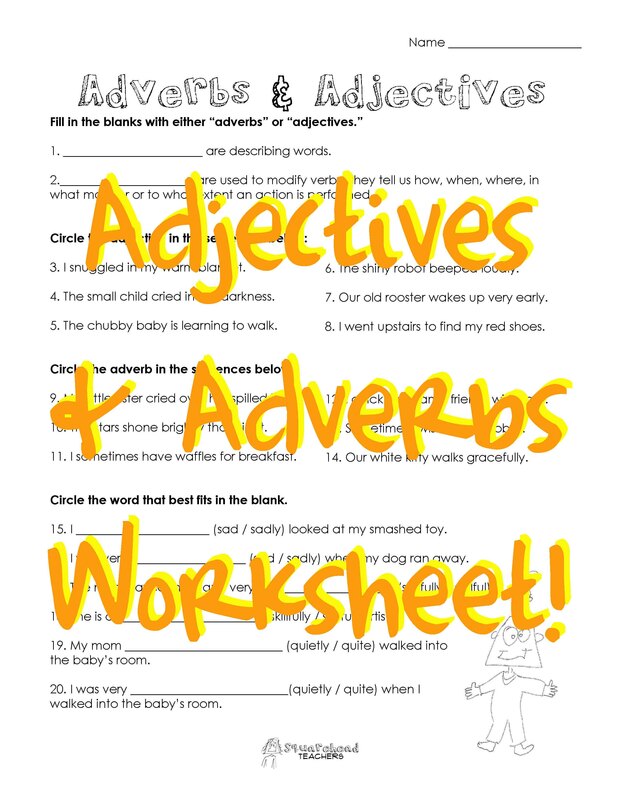 It is for practice or assessment when learning about adjectives and adverbs. Be sure to help spread the word about my blog! Thanks! This entry was posted in Grammar, Language Arts and tagged adjectives, adverbs, Education, Grammar, Homeschool, Kids, language arts, school, Teacher Resources, Teachers, Teaching by Squarehead Teachers. Bookmark the permalink.